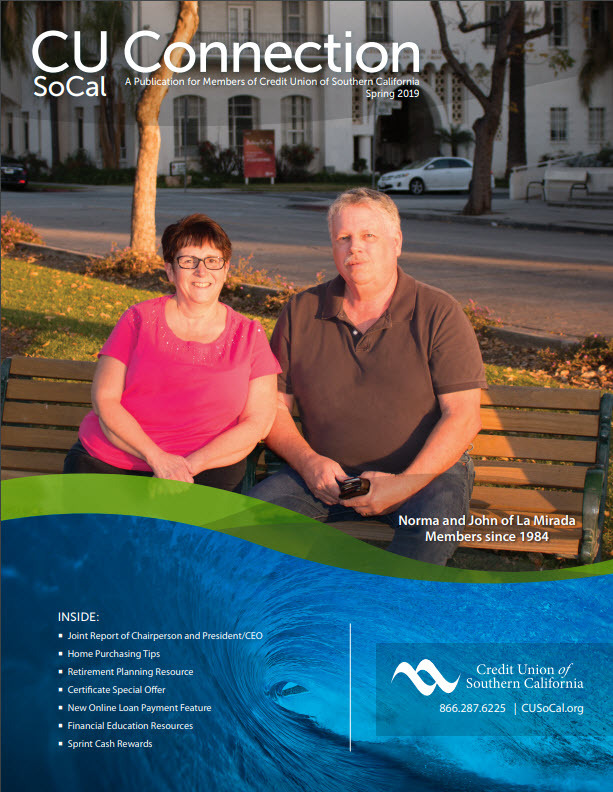 Stay current with the latest CU SoCal news. 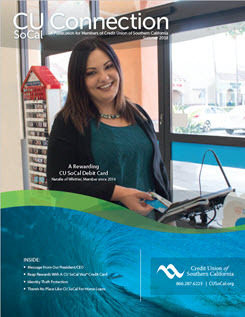 CU SoCal Connection is a quarterly publication featuring informative articles about products, services, news, events, special offers, money management, and security. 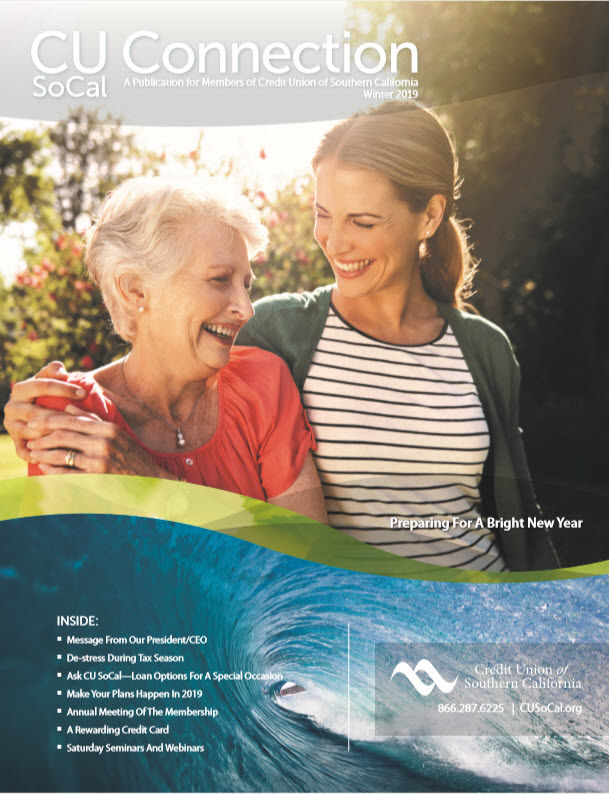 This publication is included in Members' statement mailings as an insert, or as a link with Members' eStatement notification emails. 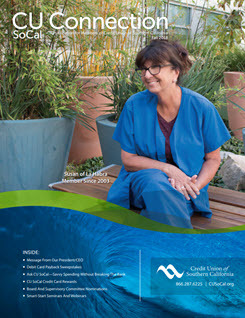 To view forms, you must have Adobe Acrobat Reader installed on your computer. If you do not have it installed, click the “Get Adobe Reader” icon for a free version.